Alitalia is the flag-carrying national airline of Italy. Over the years, during my trips to Italy, I have noticed a hedonistic little habit that Alitalia’s pilots and crew practise upon returning to their motherland. They do it quite openly in the arrivals lounge after their homebound flights have touched down, with no hint of shame or hesitation. I concede that I look forward to catching a glimpse of it as I invariably wait for my travel companions to use the bathroom, change diapers, and otherwise freshen up following the long stuffy haul to Italy. The habit is passionate, pleasurable, quick, and cheap. Importantly, engaging in this act satisfies a deep longing that has been relentlessly building up within the members of the crew. Your imagination is likely wondering what this sinful pleasure could be. Physical desires that become unbridled? Perhaps, but this will likely come later in more private quarters. Illegal smoking in the passenger lounge? Yes of course, this is Italy after all, but cigarettes are not the ritual to which I am referring. Indeed, this habit is less carnal than sexual pleasures and no law forbids it. The habit, truth be told, is gelato. You might be underwhelmed by this revelation, perhaps having expected something at least a modicum more risqué. Ice cream? What could possibly be so compelling about a little ice cream? But gelato is no mere ice cream, and the pilots and crew of commercial aircraft will often be the first Italians you will spot enjoying this marvellous little touch of the dolce vita. Like bees to a fragrant flower, they hone in on the airport ice cream parlour, decisively order a big cone, and walk away both smiling and relieved to finally have this treat of which they were inhumanely deprived during their tour of flight duty. For them, nothing says welcome home like a good Italian gelato. For me, gelato is in a neck-and-neck horserace with the Italian bar as one of the main drivers for each trip I make to Italy. Immediately after confirming my flights, I begin to daydream about my daily visits to the Italian ice cream parlour, a gelateria in Italian. What makes me swoon so sensually about gelato when ice cream is so widely available across the globe? There are some important differences between gelato and the ice creams we are all familiar with, and there are also some social aspects of gelato consumption that visitors to Italy will find to be novel and endearing. To whet your yearnings, here are some facts that give gelato its bragging rights. First, gelato has a lower butterfat content (for number lovers, generally in the 6-8% range) than the ice creams with which you are more accustomed. Besides any favourable health implications that this may carry, this lower fat content carries other advantages that give gelato a bolder, more intense flavour. For gelato, this is a “Goldilocks zone” of fat content, not too much and not too little. Consequently, gelato has enough fat to gracefully transfer oil-soluble essences of flavour to your taste buds, but insufficient fat to form a prohibitive seal between your tasters and the flavours that would tragically mute its enjoyment. The lower fat content also makes gelato taste less milky, and therefore imparts a more genuinely refreshing mouth feel that does not lead to excessive thirst like heavier ice creams can. Gelato has less air whipped into it than standard ice cream does, yielding a denser and more luscious texture that in turn accents its gusto. Last, gelato is served from special coolers that maintain its temperature at a warmer mark compared to that of the ice creams that you will encounter at home. This warmer temperature makes gelato smooth and pliable despite its higher density, and boosts the approachability of its glorious flavours because your mouth is not jolted by the deep cold and rigid consistency that characterizes many ice creams. Besides these technical distinctions, in Italy there are also socio-cultural aspects to the consumption of gelato. For Italians, gelato is not a decadent treat that requires special occasions or the consoling of dark emotions to justify its enjoyment. Nor does it evoke post-consumption sentiments of guilt and thoughts of running it off at the gym the next day. Gelato is just a daily ritual that needs no validation whatsoever, and the only emotion it ever evokes is happiness. What an original concept! From a nutritional point of view, Italians do not consider gelato to be a wicked pleasure that really ought to be avoided. For them, gelato is an energy-lifting, easily digestible, refreshing, and hydrating food that makes for a perfectly delicious and functional merenda, the traditional mid-afternoon Italian snack that staves off bouts of peckishness. Despite the fact that the primetime for savouring gelato begins in the afternoon and continues right through to the wee hours, there are no temporal or seasonal limits on gelato consumption. It is enjoyed all day long, and in some regions, notably Sicily, it is a traditional breakfast when served stuffed within a croissant-like sweet bread called a brioche. And although more of it is certainly consumed during the hot Italians summers, locals still enjoy gelato in the relative balminess of their winters. So, feel free to have one no matter what the time of day – or the time of year. What strikes me most about the culture of gelato consumption in Italy is not the perception of it being a noble food, but the perception of who should be enjoying it. Ice cream here is predominantly considered a treat for children; if adults are having some it is under the pretense of joining in with the youngsters, or perhaps a rare moment of decadence. Certainly, in North America at least, ice cream is not considered a “cool” food in the sense of social posturing, and I find it hard to imagine a gang of haughty teenagers or a team of corporate investment bankers heading out to grab an ice cream and then parading down the street with it. Not so in Italy. There, gelato is for everyone. 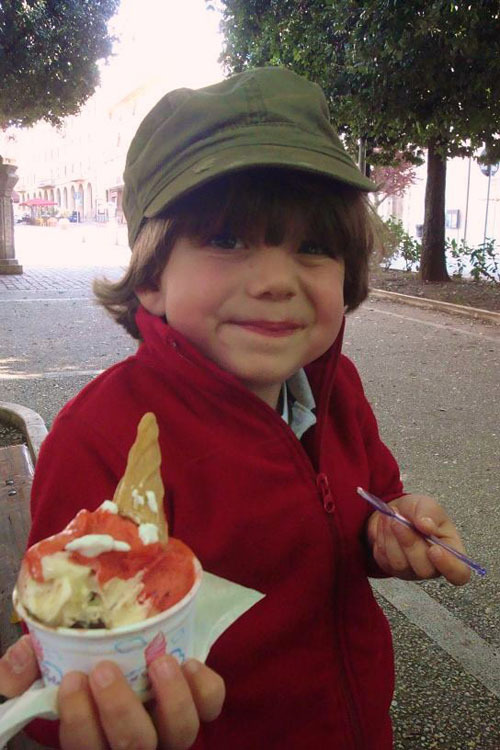 As you walk around in Italy, take note of who is clasping a gelato. You will see groups of seniors enjoying a gelato, couples in love enjoying a gelato, motorcycle gang members enjoying a gelato, and police officers enjoying a gelato. And those groups of corporate bankers with chic sunglasses and Brioni suits? They won’t be waving cigars. They too will have a gelato, and often a big one. It is as if each citizen is continually reminding her peers about the pleasures and virtues of gelato. For visitors to Italy, a gelato becomes the object of a chronic communal banquet instead of a restricted vice. The moral of the story is clear. A gelato, that most simple, small, and affordable item of gastronomic art, is a fundamental part of the dolce vita. Few things, big or little, so easily inject us with happiness and evoke a smile of satisfaction. Have it often, certainly daily, while in Italy. Here are some useful suggestions to help you enjoy gelato well according to its social script. Like the Italian bar and eatery, gelaterie (the plural form) are everywhere in Italy. You will never be far from one whether on foot or in a car. In a country where citizens know how to distinguish the good stuff from the rubbish, quality is generally quite high. But, be warned: in big tourist centres, it is easy for an establishment to have line-ups at the counter when armies of visitors continually march into town, despite serving gelato that is sadly below the mark. As a result not all gelaterie adhere to the strict standards that yield a bona fide gelato. Caveat emptor. Here are some tips. First, favour a gelateria that advertises itself solely as a gelateria. Be wary of establishments that are culinary jacks-of-all-trades that tend to be masters of none. Look for places where all they do is produce and sell gelato. Regardless of what is written on the sign, pop in and check out the breadth of wares. A good gelateria will have most of its resources and space devoted to gelato, and not to other items like pizza slices or sandwiches. One exception is coffee – it is common for a gelateria, even a good one, to serve un caffè, but this is about as much deviation from the world of gelato as I would deem acceptable. Seek out a gelateria that advertises itself as being artiginale (Italian for “artisanal”), and that carries the designations produzione propria or nostra produzione (both meaning “our own production”). These indicate that the gelato is not industrially produced, and that is often being made right there in the back of the shop, which guarantees freshness and optimal quality. In my experience, a gelateria that identifies itself with these descriptors does not merely pay lip service to them, and the words actually carry some weight. If the gelateria in which you find yourself has stacks of thermal polystyrene foam containers behind the counter, this is a great sign that you are in a noble spot. The presence of these containers indicates that Italians pick up gelato here in large quantities to transport home to their families. Thus, such establishments do not solely cater to less finicky tourists and generally serve premium gelato. Perhaps most importantly, develop a sharp “gelato eye.” Inspect the goods before making a purchase. Good gelato should be served from open stainless steel shoebox-sized tubs, or – more rare these days but a sign of excellent quality – from covered steel canisters that descend down into the counter. The advantage of the former for a visitor is that you can visually examine the product. Steer clear of gelato that is piled mountain-high in the tubs. These admittedly attractive displays do tempt tourists, but are a sign that the gelato may be made to be more rigid with artificial stabilizers or even hydrogenated fats. Instead, pick gelato that is snuggled flatly in its steel bed. Last, scrutinize the colour palette of the gelato on hand. Be wary of offerings that shock you with bright, vivid colours. While the boldness of the hues might be lovely to look at, remember that you are in a gelateria and not a paint store. Instead, consider the colour of the ingredients that go into gelato, and look for colours that correspond to those ingredients. Have you ever seen bright yellow lemon juice come out of a lemon? How about yellow flesh in a banana? Do the pistachios you eat turn your teeth green? I hope the answer is no (if it is yes, then you should have a long talk with your grocer). So avoid places where the lemon and banana gelato is tinted yellow, and where the pistachio is leaf green. I know I have found a decent gelateria when the display seems like a placid sea of pastels, one gelato just a hue deeper or lighter than its neighbour. Use your common sense. If you are looking at fluorescent reds, flaming oranges, and vibrant purples, you may be detecting artificial colours and not sweet, ripe fruits. Having selected a cone or cup, you now must select the size. For both cups and cones, the various sizes are usually openly displayed on top of the counter and they are labelled with their respective prices. The cost for gelato in Italy is lower than for products marketed as gelato back home, reflecting its status as a daily rite. Even in the most touristy cities, the smallest size should not be much more than a couple of euros. If it is significantly more expensive, you might be in a tourist trap, and consider walking down the block to the next gelateria. Prices rise in small increments as you increase the size. The size dictates not only how much gelato you will receive, but also how many flavours you can combine. Regardless of the price, the smallest size that is offered will allow you to combine two flavours, and you can follow the rule of thumb that as you go up one step in size, you can add one more flavour. Of course, at any size, you are free to load up on a single flavour – there is no expectation that you should maximize the allotment of possible choices. The smallest size on hand is rarely miserly, and portions are more generous than outside of Italy. The smallest size is the one that I most often select, quite satisfactorily, but do not hesitate to revel in a more monumental cup or cone. When selecting among the flavours, know that there is an art to their combination. Do not pick them willy-nilly. Take a moment and imagine what flavours would complement each other. Italians have a saying that is tuned to this notion. If feeling a bit indecisive, they will ask the server, “Quali sapori si sposano bene?” (Which flavours marry well?). It's a logical question. Think about it. Would you put lemon juice in your coffee? How about acidic grapefruit with sweet, milkier vanilla? If it doesn't sound right, it probably won't taste right. Don't fret too much, as you will be served whatever you order with no qualms, but for your own sake ponder the interaction of choice A with a candidate choice B. Most flavours make great combinations, but not all. [carrier] di [size] con [choice of flavours], per favore. I hesitate to list many examples and thus potentially limit your creativity. Choices and combinations abound, so delight in some novel (but reflected upon) concoctions. After handing the scontrino over to the serving staff, repeat the full details of your order, this time of course indicating the details about your flavour choices. Even if you tell the cashier at the cassa your flavours of choice, the receipt you hand to the server will never have flavours designated on it, and it might not even specify your choice of cup or cone. As at the Italian bar, it will in most cases simply indicate the credit that you have purchased, and consequently you must inform the server about the details regarding how you would like to spend that credit. I recommend responding with a boisterous “Si, per favore!” There is usually no additional charge for this small but loving touch, a little kiss of the dolce vita it would be a shame to eschew. When I am in Italy, I respect one commandment regarding gelato: “Thou must covet thy neighbour’s gelato and savour thine own noble gelato every single day.” Anything else I see or do beyond the fulfillment of this commandment is bonus material. Gelato may be teensy in both size and cost, but it has psychological staying power that makes many a psychiatric medication envious. Case in point, on a hot, bright Montreal August afternoon, right after lunch and, by sheer coincidence, just a few hours before I penned these words about the idolized gelato, my wife began to reminisce about our trip to Italy the previous March. In her sweetest voice, she began. “Do you remember that great gelateria by the Pantheon?” Her smile was broader than those that I can elicit, and my own uninhibited grin quickly joined the nostalgia. Later, I reflected to myself. Had the mighty Pantheon been relegated to the role of being a mere descriptor of the gelateria? Yes. Once again, the little gelato stole the show. 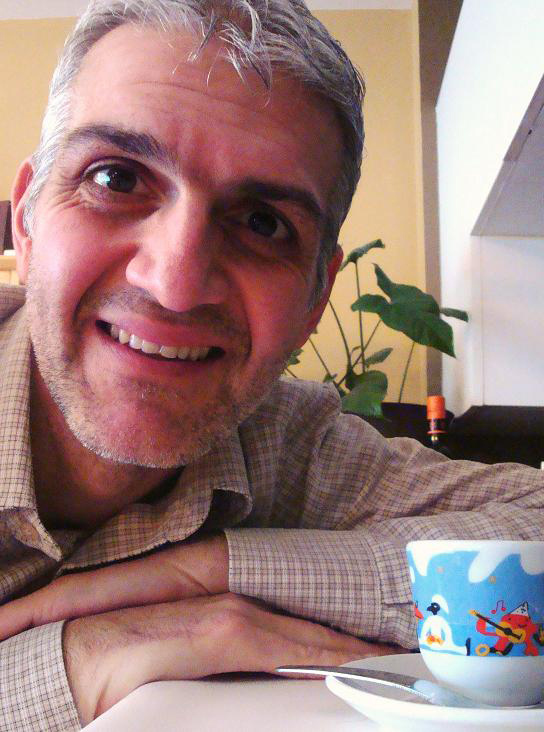 Davide D’Alessandro is a proud dual citizen of Italy and Canada. A clinical psychologist by trade, he holds a Ph.D. from McGill University, has published scholarly peer-reviewed articles, and maintains an independent psychology practice with the goal of using the lessons of science to help clients live more satisfying lives. 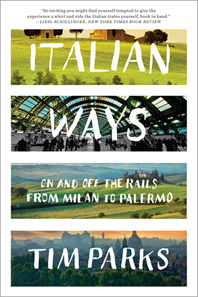 When not employing psychology in his office, he does so in Italy, observing the habits of his fellow Italians and joining them in the enjoyment of little things to boost their moods and his alike. He generally considers himself happy, despite not owning a car and watching television on a smallish screen. Just don’t ask him to give up his sacred caffè. He lives in Montreal.